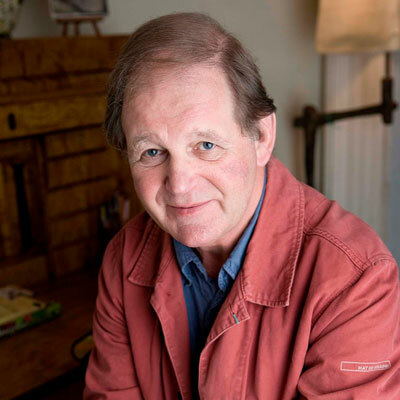 Michael Morpurgo, OBE, is the best-selling author of over 130 books for children, including Private Peaceful, The Butterfly Lion and Kensuke's Kingdom. The theatrical production of his award-winning novel War Horse was first performed at the National Theatre in 2007, and continued to run at the New London Theatre to packed audiences until March, 2016. War Horse was released as a film directed by Steven Spielberg in January 2012. Michael was appointed Children's Laureate in May 2003, a post he helped to set up with his friend Ted Hughes in 1999. He was awarded an OBE for services to Literature in the Queen’s Birthday Honours, 2007. His latest novel is Pinocchio, illustrated by Emma Chichester Clark, published by Harper Collins in 2016.